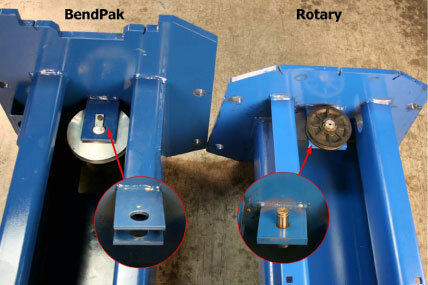 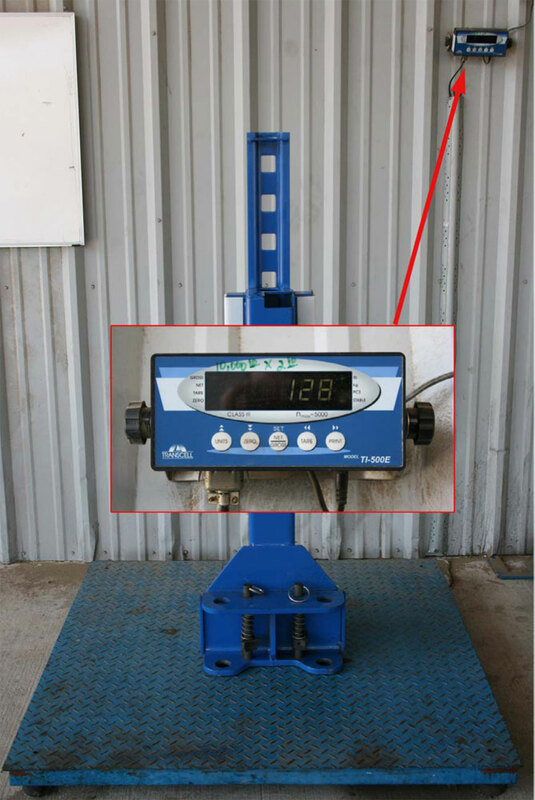 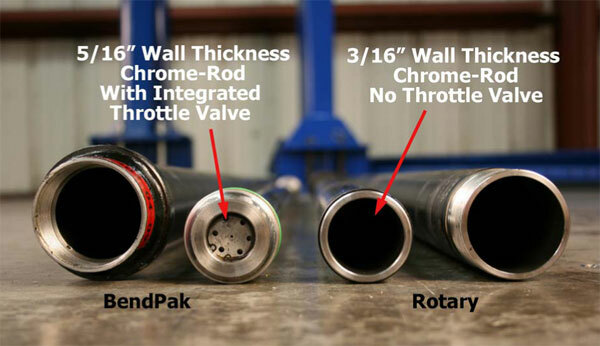 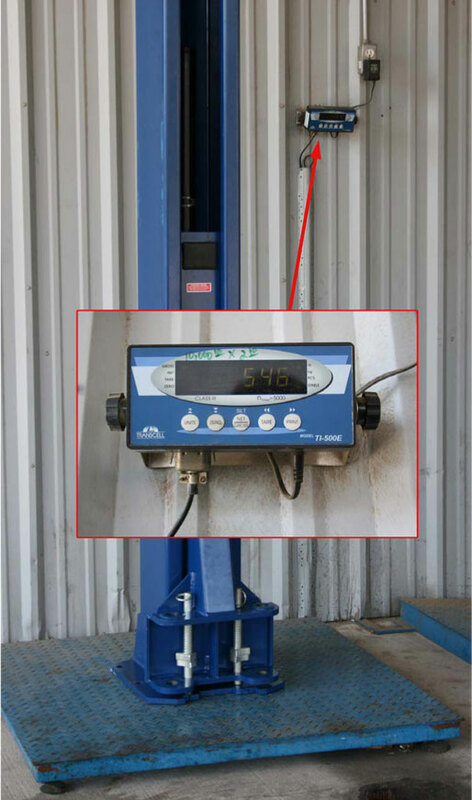 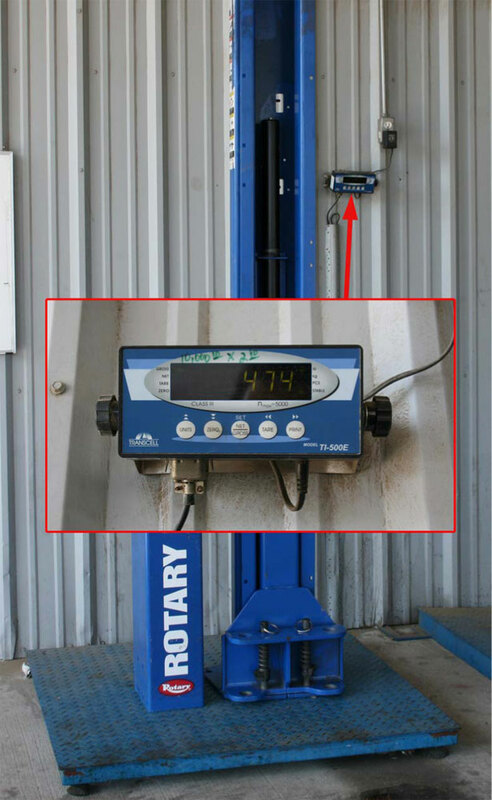 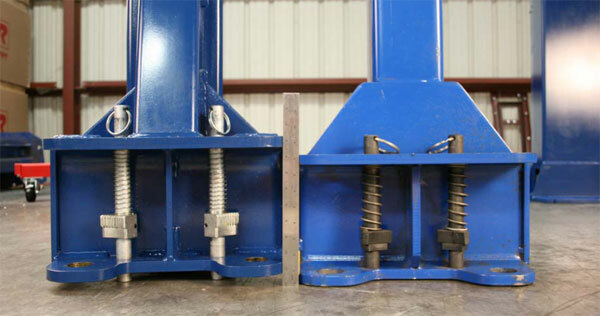 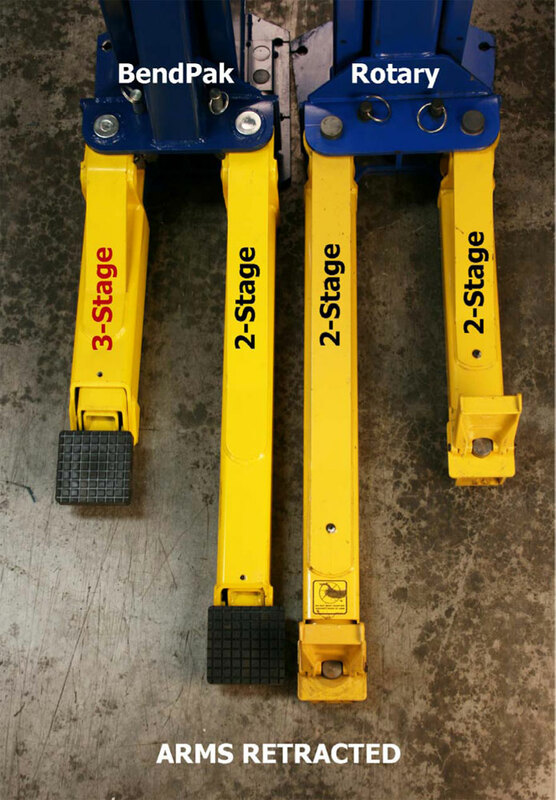 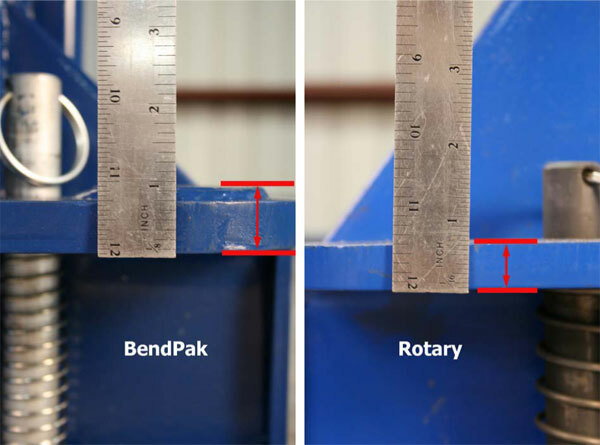 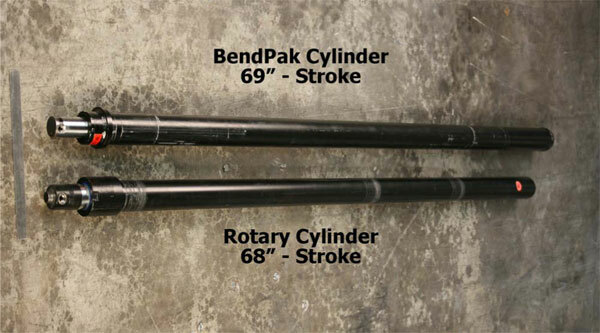 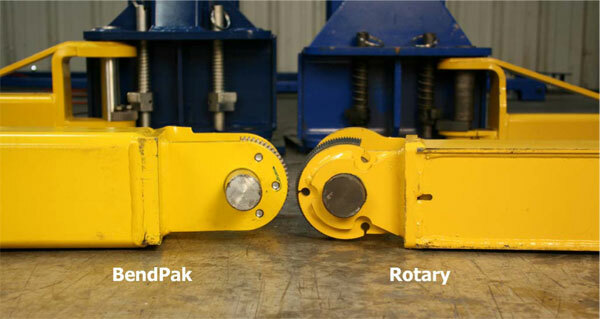 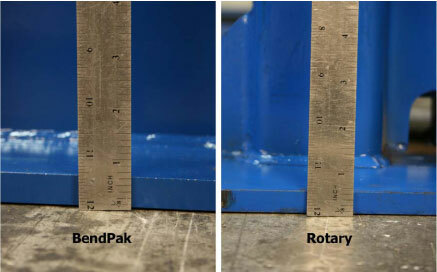 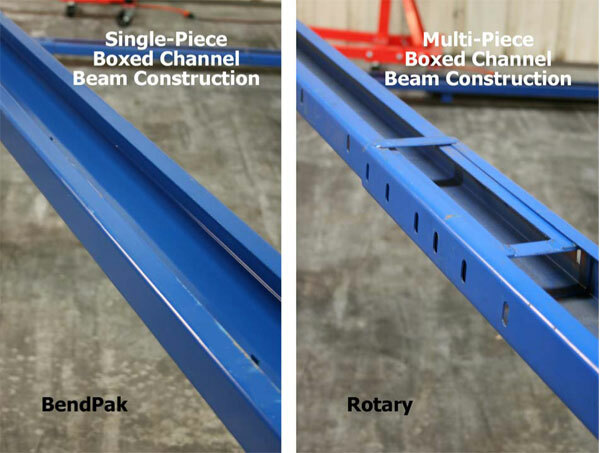 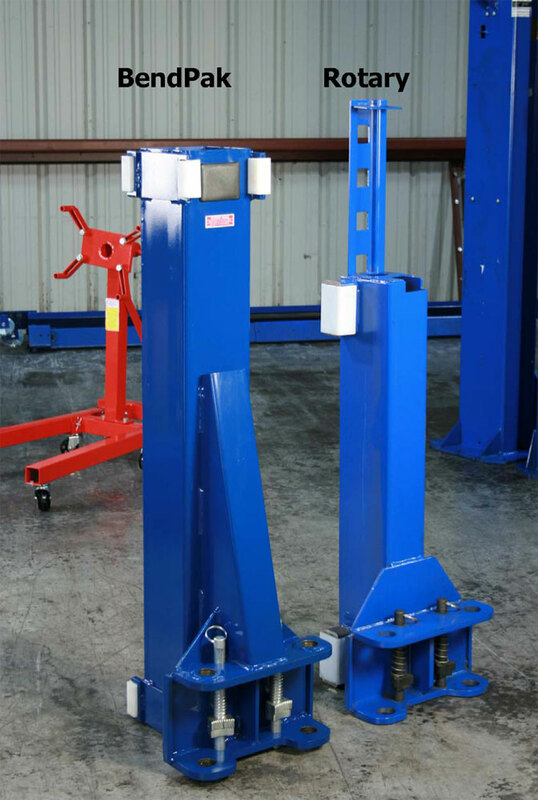 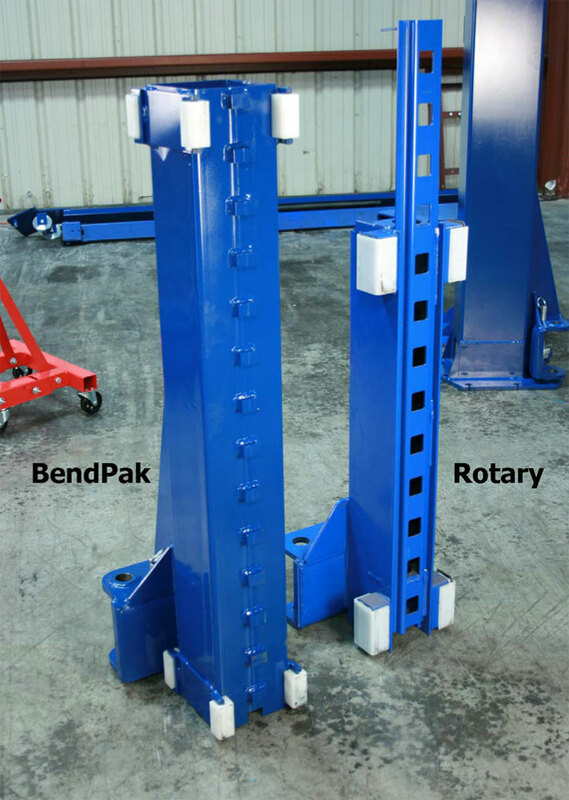 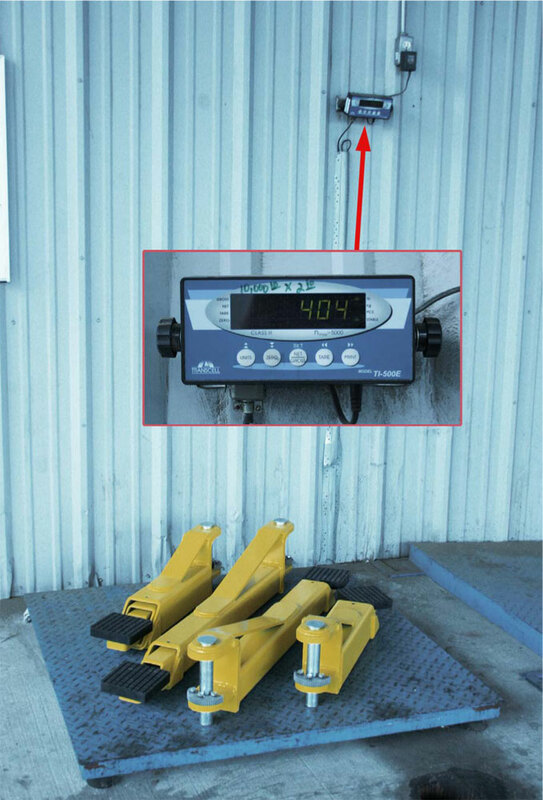 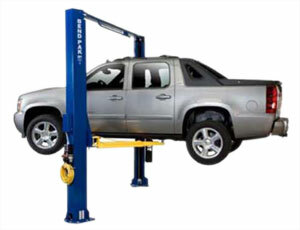 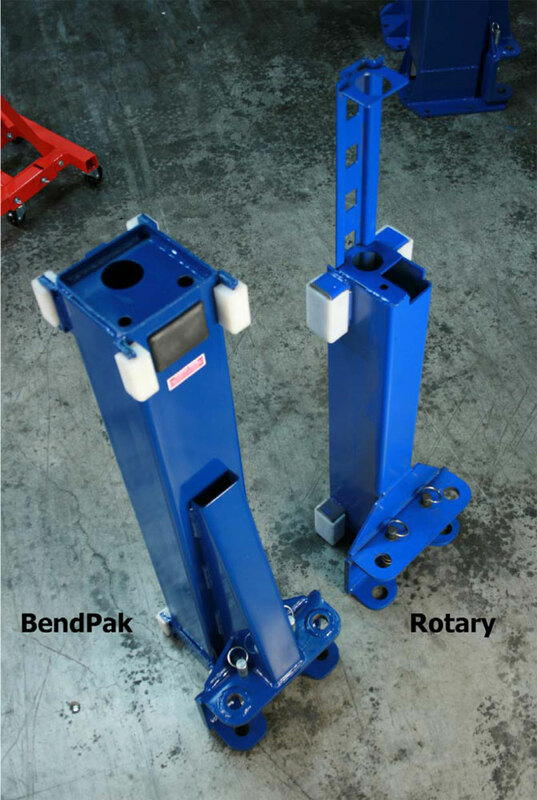 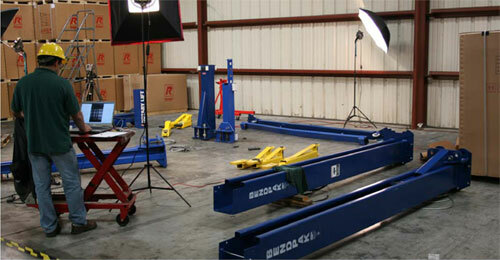 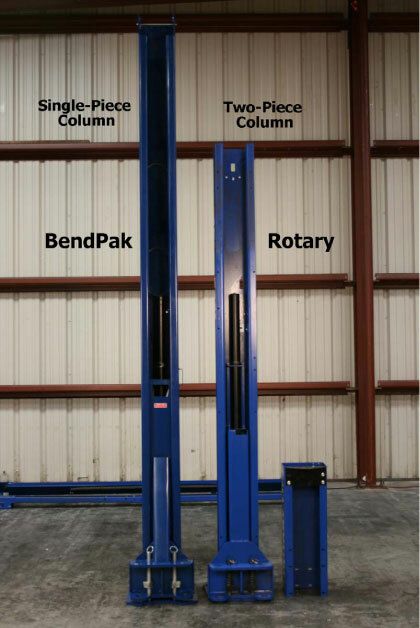 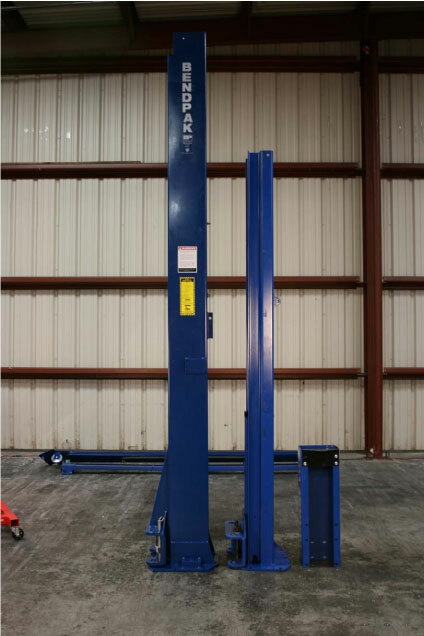 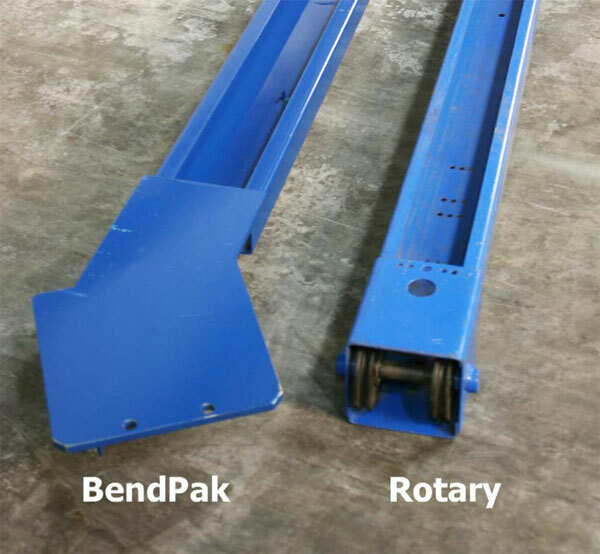 Detailed images that compare the superior quality of BendPak auto lifts to Rotary auto lifts (a competing brand). 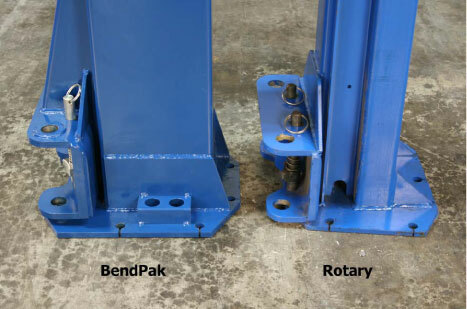 * Design features and specifications are subject to change. 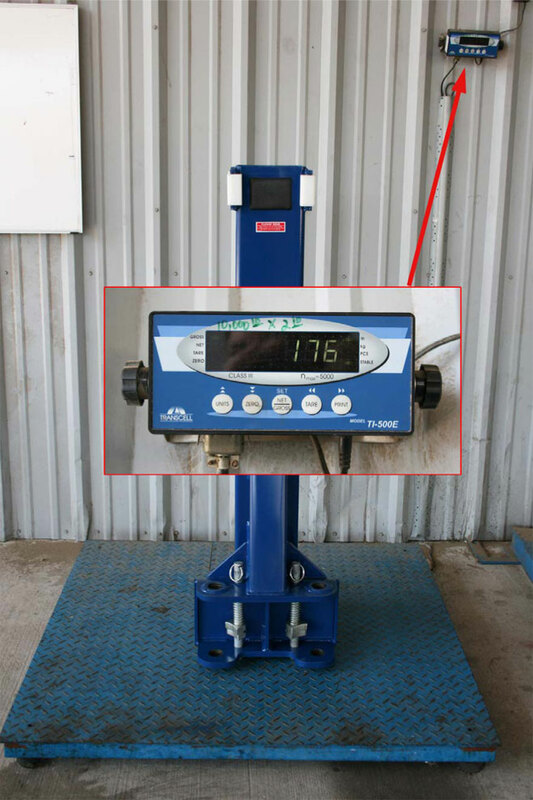 Please consult factories for updates. 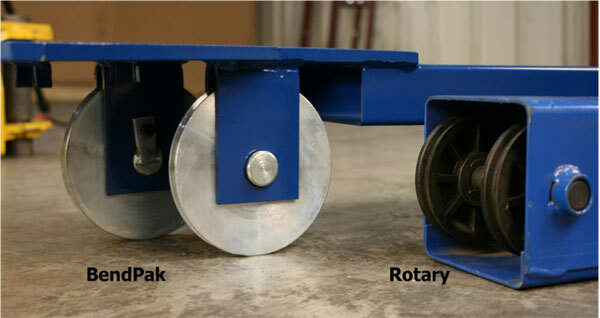 ROTARY® and ROTARY LIFT® are registered trademarks of the Dover Corporation®. 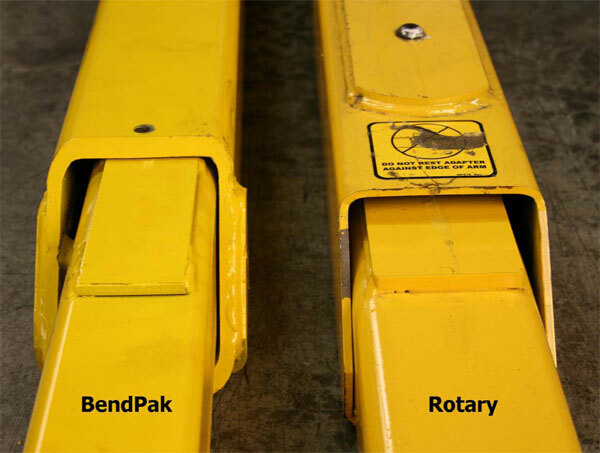 BENDPAK® and RANGER PRODUCTS® are registered trademarks of BendPak Inc. 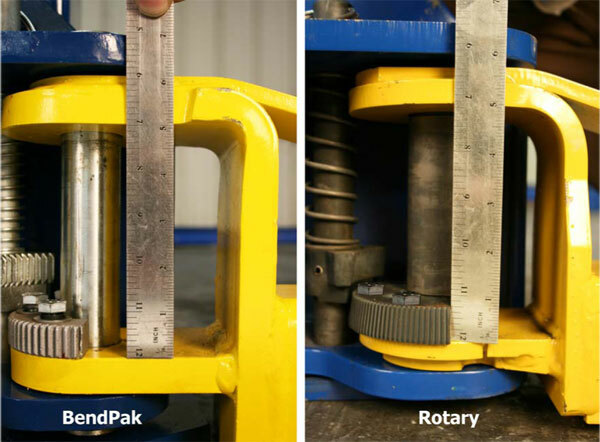 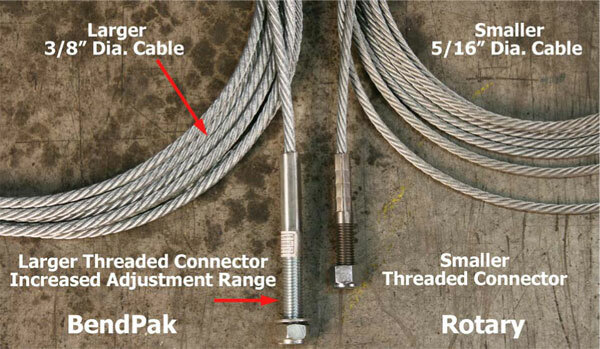 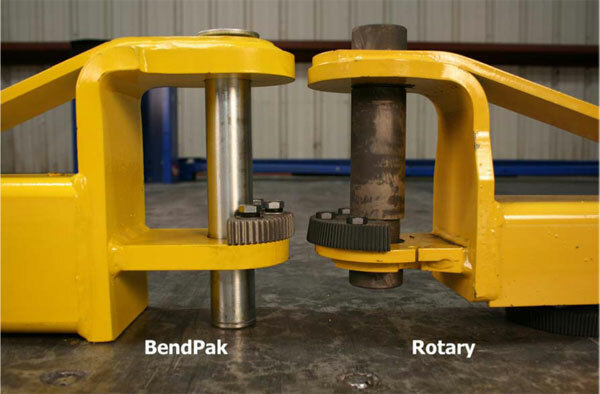 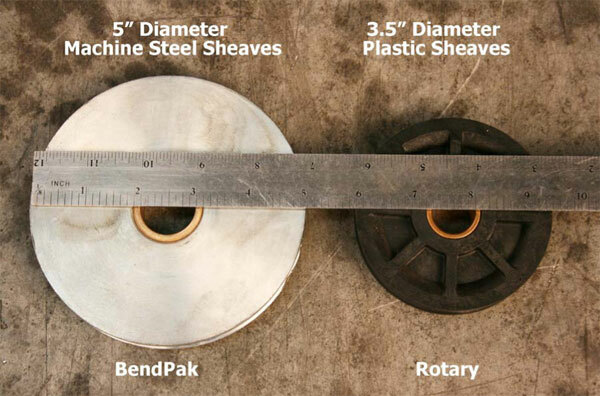 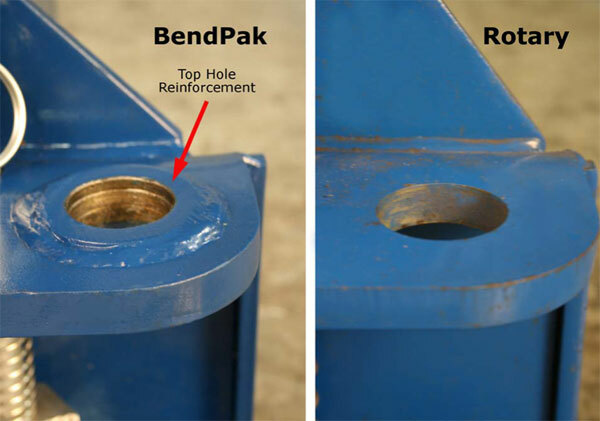 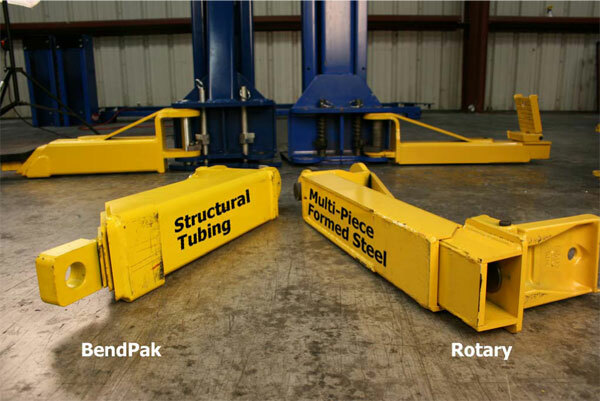 Recently, a BendPak® engineering team in response to a Rotary® distributed document comparing a Rotary® two-post to a BendPak® two-post, performed a thorough inspection and review of both BendPak® and Rotary® standard 10,000-lb. 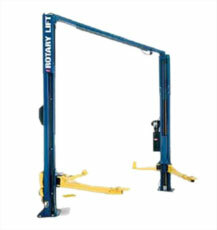 capacity asymmetric two-post lifts. 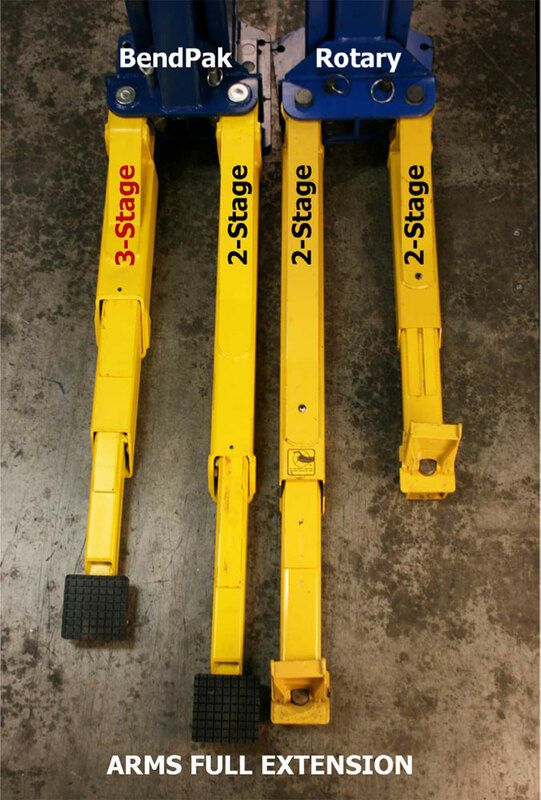 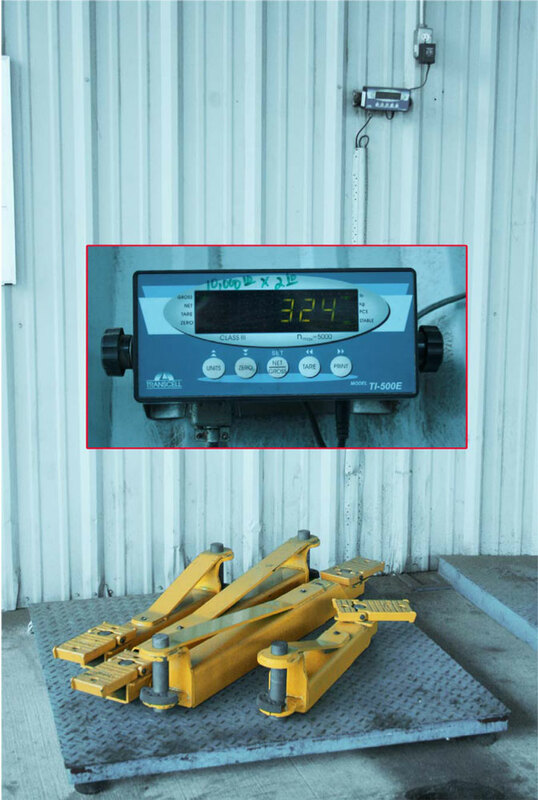 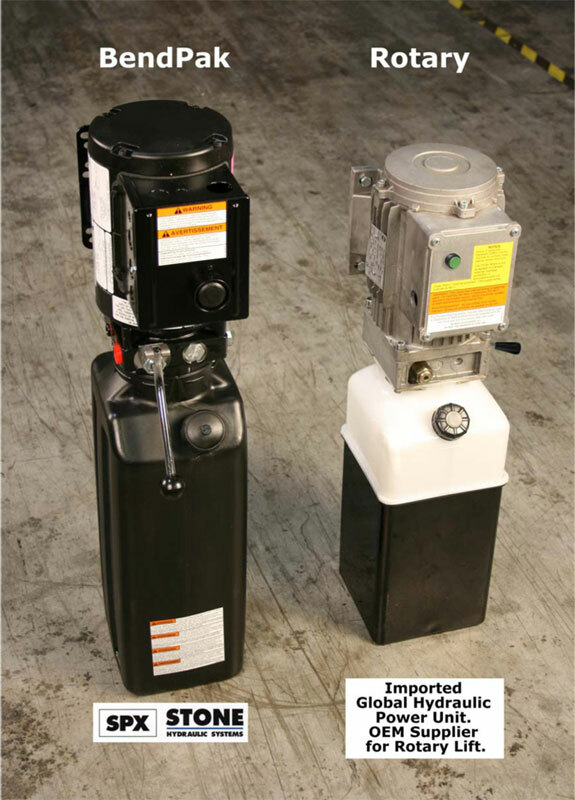 The following report illustrates critical design feature comparisons in broad detail of the above lift models. 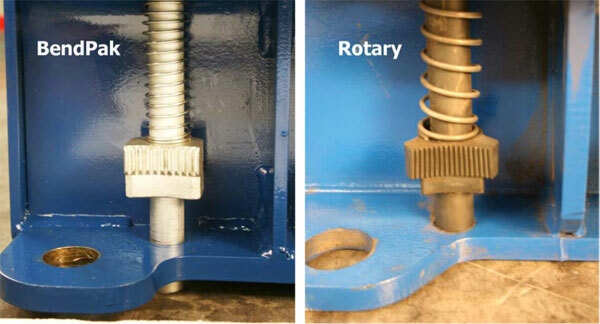 rise then closes and reduces flow during decent and only.